** J U N N I K U ** ★★★★ A fashion, beauty and lifestyle blog! 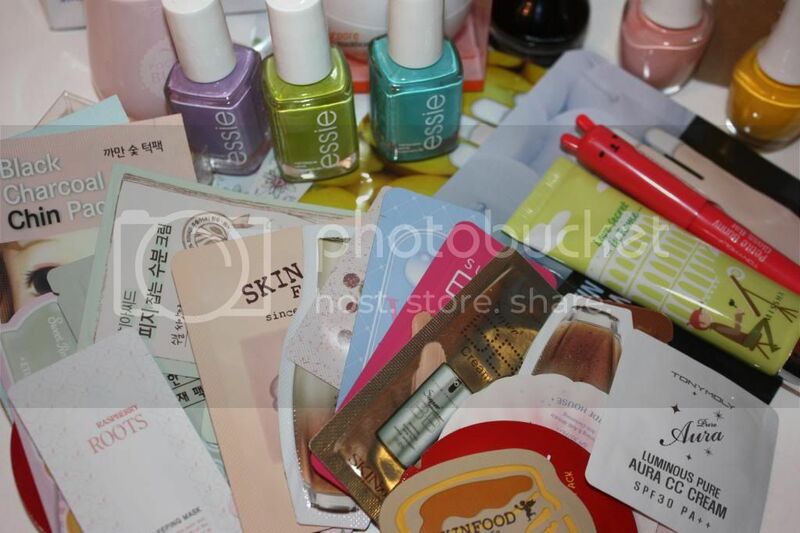 ♡: Junniku's "1000" Giveaway Paloozah! Thanks for the giveaway anyway! Congrats on surpassing the 1000 followers! *yay! Lovely giveaway and super cute banner. Thank you so much for holding this giveaway, love all the prizes you are giving away. Hi Junniku! Congratulations on hitting this awesome milestone! I would love to win The Horse!! Congrats its a great giveaway doll. thanks for the giveaway! i would love the new urban decay palette for Christmas! I want to sleep(I'm an Indian girl) and wake up in Korea!!! Just so crazy about Korea !! I don't really even know what I want for Christmas. I never really think on it either. I'm one of those people who really don't care about getting gifts most of the time, but if I had to choose, it'd probably be more clothing, LOL. How nice of you . Congrats on your first giveaway . Your prizes are really adorable! I'm not sure what I won't for Christmas. I probably won't get anything so I will have to chose a present myself. xD I am thinking about buying some less knows types of tea. For Christmas, I would like one of the holiday gift sets :P Probably end up getting the Tarte one or the Too Faced one >.< Can't decide! Hmmm let me think... what I'd like for Christmas is Skin Food's Sparkling Pore Apple Toner and face cream, VIXX's Voodoo album and a Disney Daisy Duck plushie as I'm obsessed with her! What I want for Christmas is to get accepted for a job! I want a DVD concert from my favorite artist! I would love to travel over the holidays and explore somewhere I've never been before! For Christmas I just want my family to all spend time together as it's the one occasion when everyone is off work etc. Idk what I really want for Xmas...maybe a trip to Korea hehehe. But it's too much to ask for so just family time! What I really long for Christmas is to see my relatives that I haven't seen for a long time! i want skater skirts and perfume c: thanks for the awesome giveaway! BACK ON TRACK--all I want for Christmas is for my resident spider to not lay eggs and colonize my room ._. I want an Ipad for Christmas because Im a fan of apple products and my laptop no longer works. Thank you for this awesome giveaway. Oh wow what an awesome giveaway, thank you!!! I just came back from school and I got happy when I read this post! I hope I win! I really hope I win because I've never won any giveaway before! What I want the most for the holidays is to hang out with my friends more often, since I barely ever do that anymore. 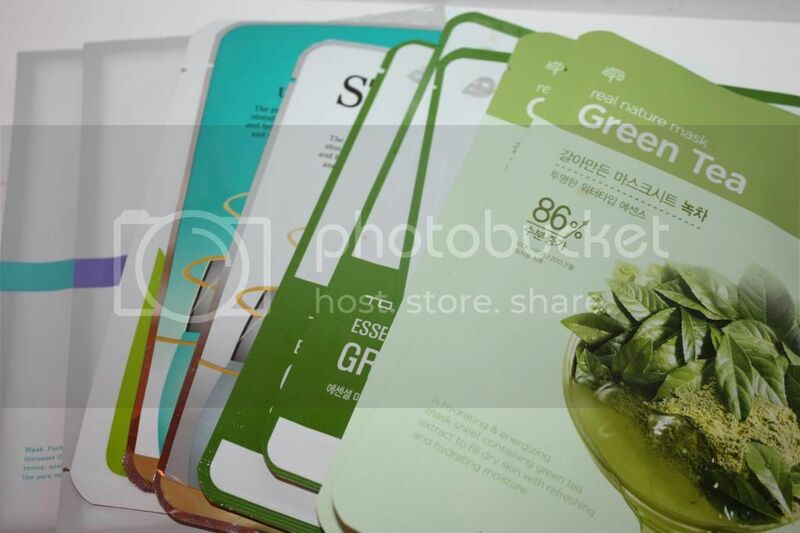 If it has to be an object, I really want to try out the IOPE Bio Activator Plant Stem Cell Active (whew that's a mouthful) and some items from Innisfree's Green Christmas Limited Edition. wow congrats on your 1000+ and counting followers hun! hugs and keep on posting! Yay, congrats! :) I think I want a sterling silver monogram necklace for christmas, this year. Hope I get it! and as for christmas... i would love some boots! ankle or riding boots please, lol. For christmas i want the naked 3 palette >_< I'm so excited for it to be released!! i would love the naked 3! i'm so impatient for it! SO excited for you! Congratulations on your 1000 followers! For this Christmas, sadly, I'm not going to spend it with my family, but instead I'm going to EXO + F(x) concert in Seoul! This giveaway is amazing! *0* Thanks for hosting. for this Christmas the giveaway prize would be santa for me..
omg both packs are awesome. Thank you for hosting the giveaway, June, I'm excited! If I have the chance, I want a LIZ LISA dress or a pair of white shoes! Christmas! I want Laura Mercier Artists Palette for Eyes! so much. Hahaha. I want a holiday with my family in Asia. I have entered in the giveaway thing lol :). Congrats with your 1000 followers. I have a very long way to go. Please visit my blog when you have the time. I want all my family to be healthy and happy! What a generous giveaway *_* ♥ Thanks for doing it! For Christmas I'd love to get into honours for Biochemistry, that'll be the best Christmas present in the world for me! I want lots of stylish dresses & accessories for this Christmas. Wow, congratulations on getting 1000 followers! This is a really big giveaway. The gift I would like to recieve... make up, clothes, or a bag. Those are the things I want right now..
And from myself not buying things I won't use. For christmas, I really want a new dress I have been eyeing at H & M! i'll try my luck :) really nice giveaway! I would like onesies for me and my family, I just love them! I would like more beauty products for Christmas ^^ I want to try the Fancl Cleansing Oil! sorry im commenting again. im not sure if my first comment went through but i would love to win this giveaway! amazing! I would love to get a diva ring light and get started on my photorgraphy hobby! I'd like the naked 3 pallet ! This would be perfect for Christmas. I want so much pass in medicine university! love life and friendship forever. Hi do you remember me from Chocolate Martini Heels? 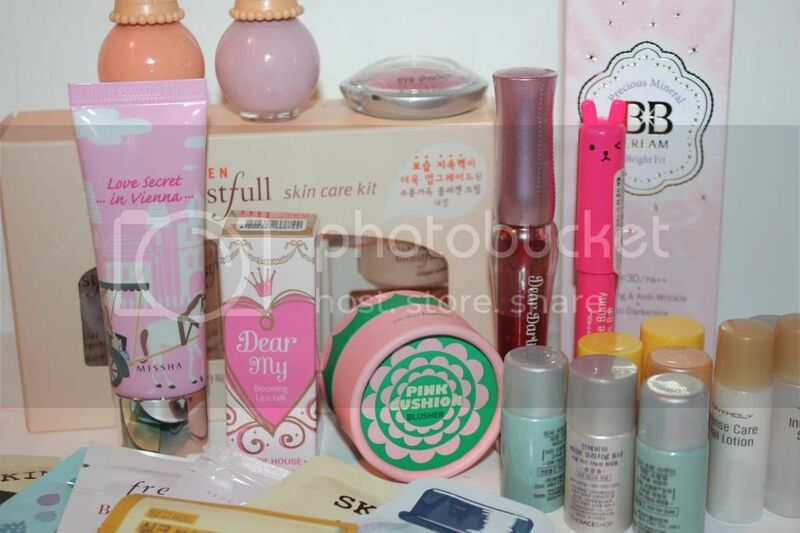 By the way: When I win.. May I have the 1st "Etude" package? The nail colours of the 2nd pack don't fit to my complexion :/ I think the Etude package would suit to me. Amazing giveaway hun! How have you been? I wish everyone around me will be happy and healthy! 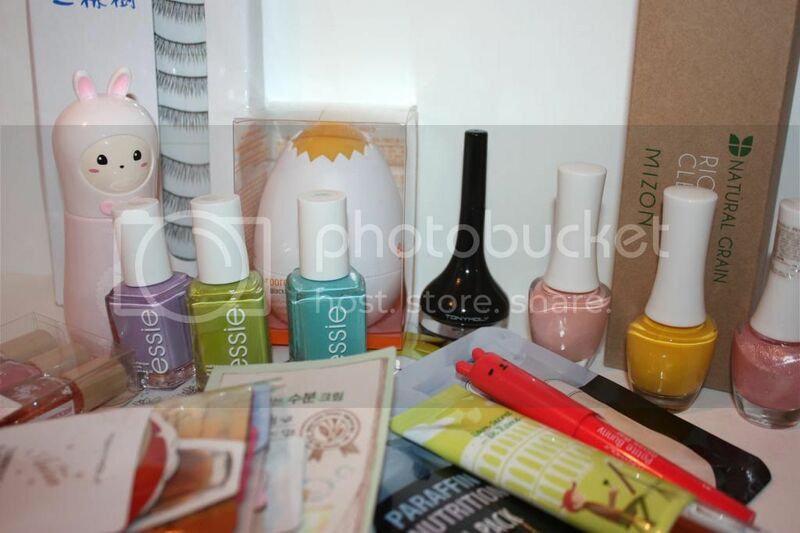 this is an awesome giveaway :D i love the first prize pack. i guess for xmas i just want more korean makeup haha! or maybe my dad to design me a new blog layout...that would be nice =) thanks for the opportunity! We haven't seen each other since summer since we're 300 miles away, but hopefully I can visit for Christmas this year. To be around my family, friends and boyfriend the day of Christmas unlike last year. want to spend Christmas with my family and relatives who were now homeless due to typhoon Haiyan/Yolanda. To answer your question, I want happiness - to be with my friends and loved ones laughing and just enjoying life! You're so generous to host such a great giveaway, would love to win but i'm also excited for whoever does! This is such an amazing giveaway! Both prizes are uuber awesome. I have to say for Christmas what I really really want is a new digital camera, preferably DSLR, but I know I'm not getting one of those. Whether or not I get a digital camera, I'm not sure, but I don't think so since I know I'm getting a PS3 lol. Still no complaints. Of course Betsey Johnson anything and preferably money, because I love ordering things from out of country which most of my family doesn't seem to understand how teehee ^^! Also thank you for this giveaway, all of the stuff looks awesome & congrats on 1k+ readers/followers. Congratulations on your now 1200 followers!! For Christmas, I honestly want a good night's sleep! for christmas, i want 5 cm added to my height.. I want a new laptop for Christmas! I want a vacation!!! So bored with my routine. This christmas, material wise - I'd like another hula hoop. Haha. This is the most amazing giveaway that I attended till now! I love korean products, you are so good in create some special and unique things! This is my first time joining a giveaway such as this and would like to thank you for giving us, readers/bloggers, a chance to try these products out.